Well, this is an interesting tidbit of information that just leaked out on the Vegas shooter. A sort of important one. ISIS has now claimed at least three times that Paddock converted to Islam six months ago. Frankly, I discounted it because he doesn’t fit the profile and because of the way he took his own life. I’m now rethinking that… seriously. This guy took 20 cruises, many of them in Europe and the Middle East, investigators have learned. His girlfriend accompanied him on nine of them. Cruises are floating casinos anymore, but if he had just wanted to gamble, he could have stayed in Vegas. I’d say this was an important fact and the police seem to be discounting it for some reason. The cruises included stops at ports in Spain, Italy, Greece, Jordan and the United Arab Emirates. SITE Intelligence has also claimed that Paddock was connected to ISIS and I’ve watched them for years and have never known them to be wrong. A law enforcement source leaked this to CNN. They weren’t authorized to do so. There’s good reason to wonder over this. 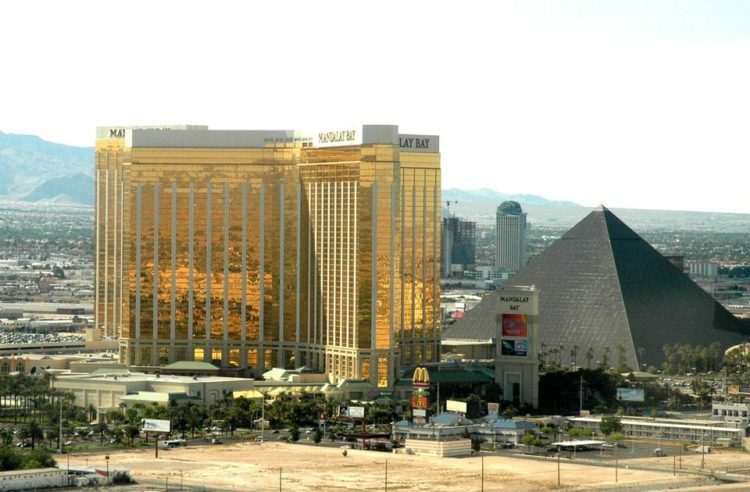 Vegas would not want it labeled as terrorism… that would be very bad for business, but there are no other explanations and this may not be definitive proof, but it’s the first link we’ve seen to anything. We don’t know what cruise line(s) Paddock used for his trips. Investigators are well aware of this detail, but were still quick to deny ISIS’ claims. I’ve never known ISIS to make this many claims about an attack and it not be true. This will surely be of significance in the timeline of the killer and his activities. In the end, he killed 58 and wounded 489. He had 23 guns in the room with him, a ton of magazines and twelve of the guns were outfitted with bump stocks. He had 50 pounds of Tannerite in his car, along with ammonium nitrate and digital devices. He had two suitcases with hundreds of rounds of ammunition in the Pacifica too. Investigators have also determined that Paddock booked three rooms at the Ogden, a luxury condominium tower in Las Vegas, between September 17th and September 28th. The condos were on high floors and facing north overlooking the Life Is Beautiful music festival, according to the information provided by the source. He attempted to book a room at the El Cortez, but there were no vacancies, according to the information. He also booked a room in Chicago during the Lollapalooza event and another in Boston. The source also said investigators recovered a notepad at the Mandalay Bay with numbers on it “significant to the gunman” and were attempting to determine their meaning. The cruise angle is significant and should not be disregarded here. It would not surprise me if ISIS releases proof of his conversion over the next week or so. Paddock could have been a psychopath who just wanted to commit evil acts for the hell of it. But the ISIS angle is looking more and more plausible here. They wanted vengeance for the US destroying their Caliphate. Paddock would have fit the bill perfectly for the Jihadists. 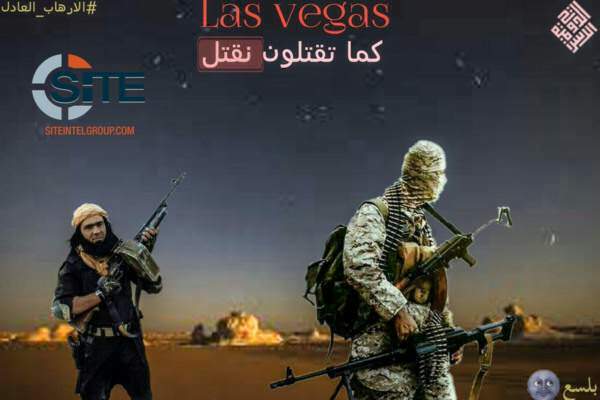 Image from an ISIS linked Twitter page.